As your Richardson plumber, Richardson Plumbing Pro’s technicians are committed to providing the finest quality plumbing service to customers. We have built this company on a foundation anchored to innovative ideas and well-defined ideals. Because of our commitment to serve our customers, we should all look for ways to reduce consumption. Going green means just that – saving money by saving energy. Did you know that plumbing has a large carbon footprint? When you pay your utility bill, you are paying for the energy it takes to pump the water from the ground, purify it, pump it to your location and then treat and dispose of it. Water saving fixtures not only save you money, but they help conserve one of Dallas’s most precious resources: water. The water heater is the 3rd largest consumer of energy in your home accounting for about 12% of your electric bill. Making sure that it is operating at its peak efficiency or switching to an energy efficient tankless water heater. It saves you money every time you pay your water or gas / electric bill. Older toilets can use as much as 4 gallons per flush. Toilets were redesigned to conserve water and low-flow toilets were introduced in the mid 1990’s. 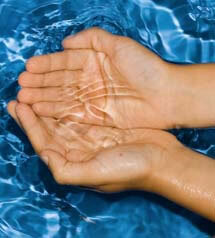 Most toilets used today use about 1.6 gallons of water per flush. There are some models that use as little as 1.0 to 1.28 gallons per flush - some combine air pressure with the flush to eliminate flushing twice. The older your shower head is, the more water it will use. Changing to a new shower head reduces that gallons per minute from 8 to as low as 2. The newer models have been designed so the low-flow models deliver as good a shower as the higher flow shower heads. By simply fixing leaks and replacing water guzzling fixtures inside the home, you can save thousands of gallons of water each year. We know that you are interested in doing as much as you can for the environment by conserving energy and living smarter. Richardson Plumbing Pro can help by suggesting water saving fixtures and recommending preventative maintenance you can do around the house. It is also important to repair plumbing for selling your home. 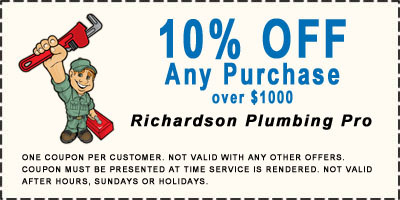 Richardson Plumbing Pro proudly offers the most reliable Richardson plumbing service in the Dallas area. Quality and customer satisfaction are our top priorities. Every technician is an expert at residential and commercial plumbing jobs of all shapes and sizes — yet our rates remain surprisingly affordable. 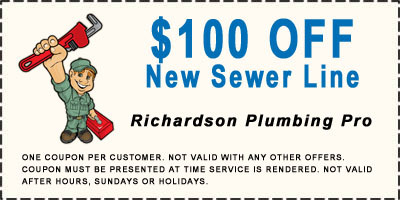 For top quality Richardson plumbing service at affordable prices, call today at 972-546-2974. Q: My garbage disposal just hums and sounds like it is jammed. Do I need a plumber? A: First, to prevent injury, always practice extreme caution while repairing a garbage disposal. Refer to the manufacturer’s troubleshooting instructions provided with the unit. To reset the disposal if it is not working, with the power OFF, push the red reset button of the disposal, located on the bottom underneath the unit. For really tough jams, with the power OFF, use an allen wrench in center of disposal to un-jam the unit. Next, check to make sure the power is on. If the power is on and the unit is still not operating, one of our trained Richardson plumbers is happy to assist. Q: Why should I use a licensed plumber vs. a handy man? A: Homes and businesses require the skills of a master plumber to install and repair pipes, appliances, and fixtures. A plumber usually follows blueprints and building codes when installing various fixtures, such as sinks and bathtubs. When a pipe or appliance stops functioning properly, a plumber will inspect the system, diagnose the problem, and perform any necessary replacements or repairs. Master plumbers are knowledgeable about many different aspects of plumbing. Additionally, most municipalities require plumbing work to be performed under the supervision of a licensed plumber. It only makes sense to ensure the safety of your home, business and family. Q: My hot water has started to smell bad. What causes this? A: In most cases this is caused by a bacterial reaction to your sacrificial anode. If you have very soft water then this could make the reaction worse. The correction may be as simple as replacing your anode with one made of a different material. 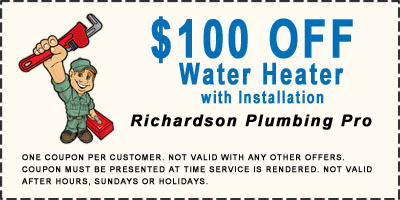 Please contact us today for the Richardson plumbing company that can help. Q: My water bill has been unusually high the past several months. How can I tell if I have a leak somewhere? A: The easiest way to determine a possible leak is to turn off all water fixtures in the house and then check your meter for 15 to 30 minutes. If you see any movement at all then a leak may be present. This leak could be as simple as a toilet seal or as complex as a leak under your slab. Our technicians are leak detection experts and are ready to help you today. Q: I have a water leak in my wall near my outside faucet. What is causing this? A: Your hose bib likely froze during the winter. In a freeze proof faucet, these leaks are often not detected until you turn the faucet on for the first time since the freeze. In many cases these, can repaired with minor damage to the surrounding brick. Give us a call at (972)546-2974 for same day repair service. Q: Why does shifting soil cause water line leaks? A: Copper water lines are not designed to be elastic. When our Dallas area soil expands and contracts, the water lines also move, causing water leaks at both joints and in the actual lines. If you think you have a leak, one of our technicians is happy to check it out and give you an estimate on the cost of repair. Q: Can you help with recommendations on fixtures and supplies? A: Absolutely. Professional plumbers have fixture and supply experience from working on hundreds of homes and businesses each year. Price may not be the best indicator when choosing the faucet for you. For example, would you pay a little more for a faucet that you do not need to replace in a couple years? 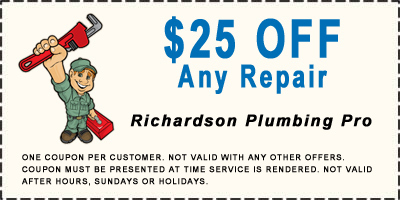 When you hire a professional to do a job, you are paying for this Richardson plumbing expertise. Our plumbers are happy to give you recommendations.